I've been a fan of rose gold for a few years now, can you blame me? I really think it suites my skin tone & my blonde hair more then the other metals. This spring/summer I really want to wear more jewellery with outfits, I'll be wearing less clothes so you'll see it more rather then hidden under big jumpers & coats. 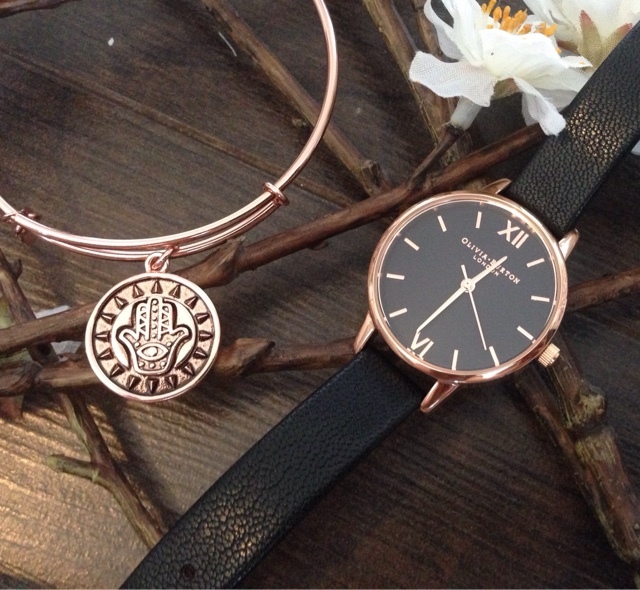 I think rose gold is a perfect colour for spring/summer too. I can't go out with out having a watch on, I never realised until I smashed my Michael Kors watch (which was also rose gold) how much I rely on knowing the time! 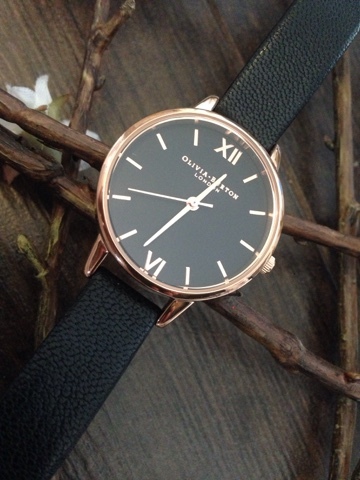 I'm obsessed with the Olivia Burton watches, with my wrists been super small I went for the smaller face with rose gold hardware, black face & black leather strap. It couldn't have been more perfect for my wrists. 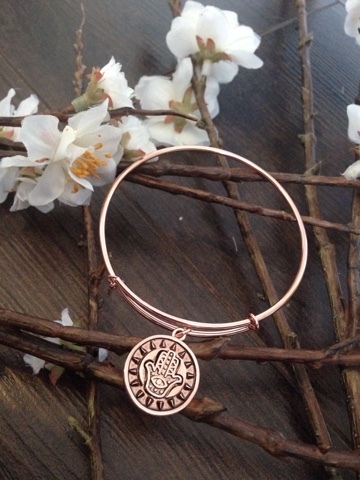 I really wanted to start stacking my jewellery too so I went for a Chrysalis bangle in rose gold with the hamsa hand charm, the Chrysalis bangles can be stacked together & they have tons, different metals & charms so you can mix & match. 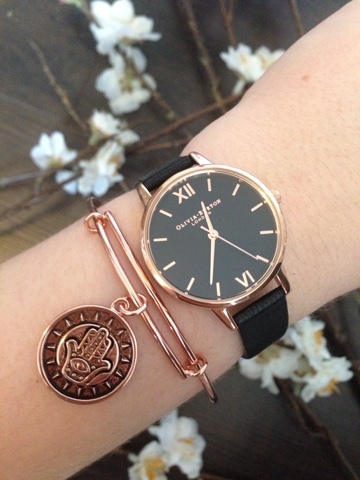 I'm totally obsessed with my new pieces. I really love wearing them, they go together like they were meant to be!